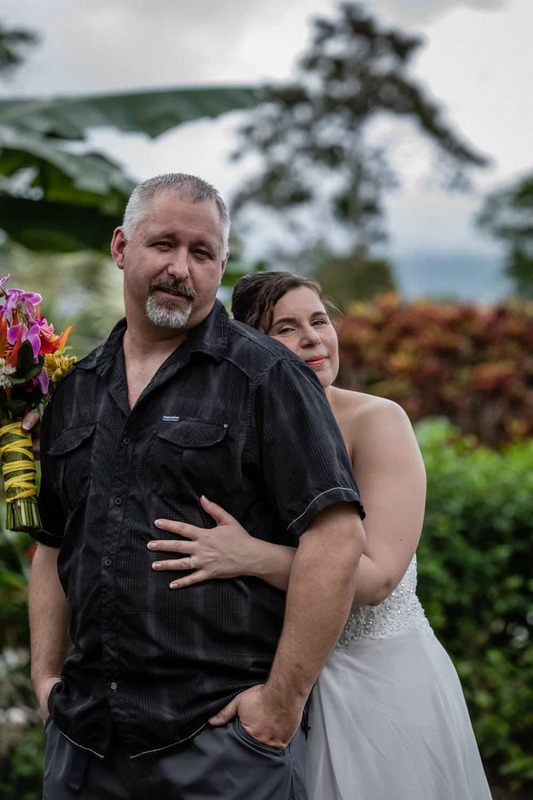 Andrea and Dale traveled to La Fortuna, Costa Rica from Ontario, Canada for their wedding photos after having eloped a few weeks earlier in a less than tropical location. 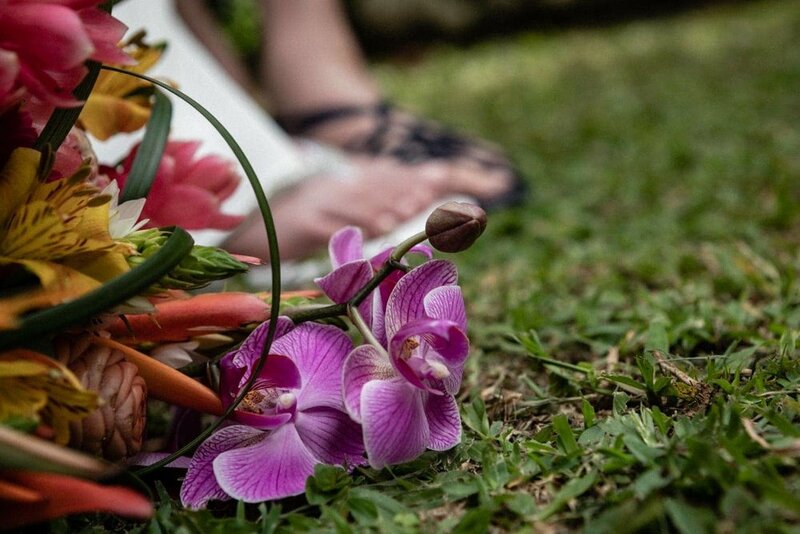 They wanted wedding pictures with a tropical them: in a rainforest location, by a waterfall, and near a volcano. There are few places in the world where all three of these criteria could be met, and La Fortuna had them, and more. 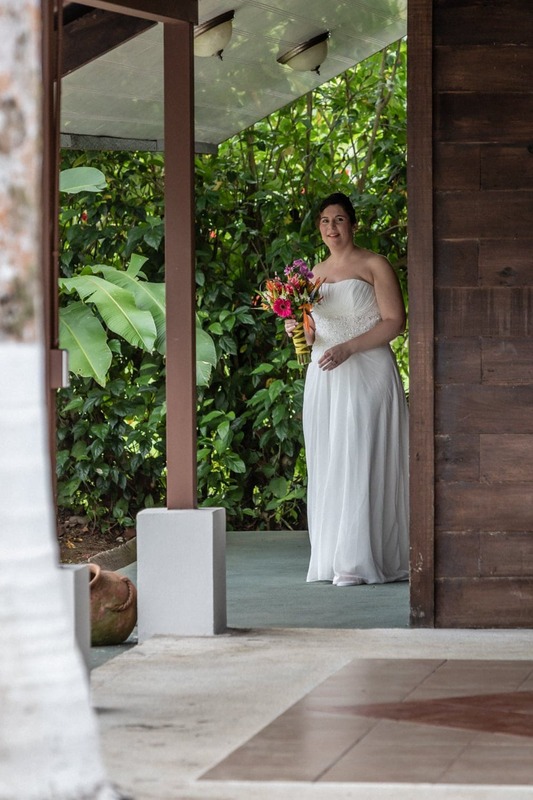 Andrea wanted to start at the house they rented with a First Looks session that captured the tropical garden in the back yard with the Arenal Volcano in the background. 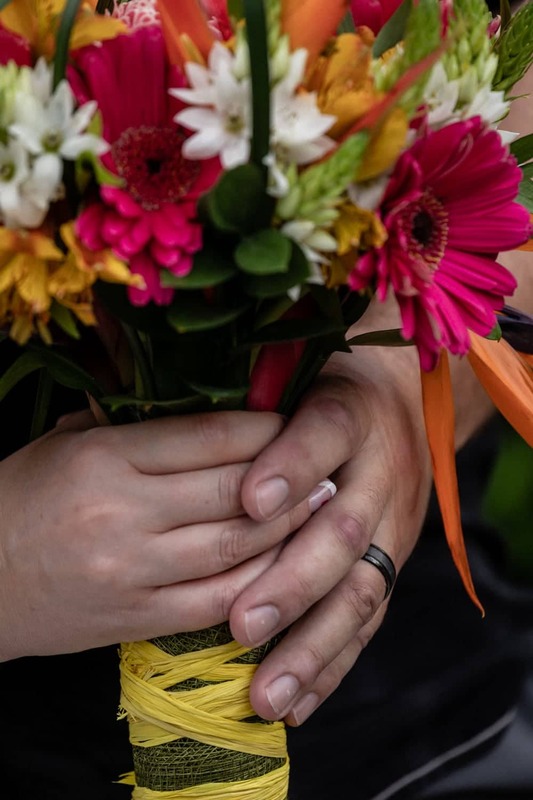 We took few photos of her preparing and then of her walking up behind dale with a beautiful bouquet in hand as he waited for her, smiling. As Andrea approached Dale, their smiles grew and grew until she tapped him on the shoulder. Dale turned around and the love they have for each other just came pouring out. We love First Looks! Next, we went to the Arenal Observatory Lodge & Spa where there were a number of trails, one of which meandered through dense rainforest and that until it reached a small intimate waterfall. Here, we took photos great photos of them with the waterfall in the background as they enjoyed the view and each other and the sound of water cascading and falling into a lagoon behind them. The next trail took us to a man-made lagoon in a open area that had an amazing view of the Arenal Volcano. Thankfully, the cloud cover from earlier - which prevented us from having the volcano in the background during the first looks session - had dissipated quite a bit. 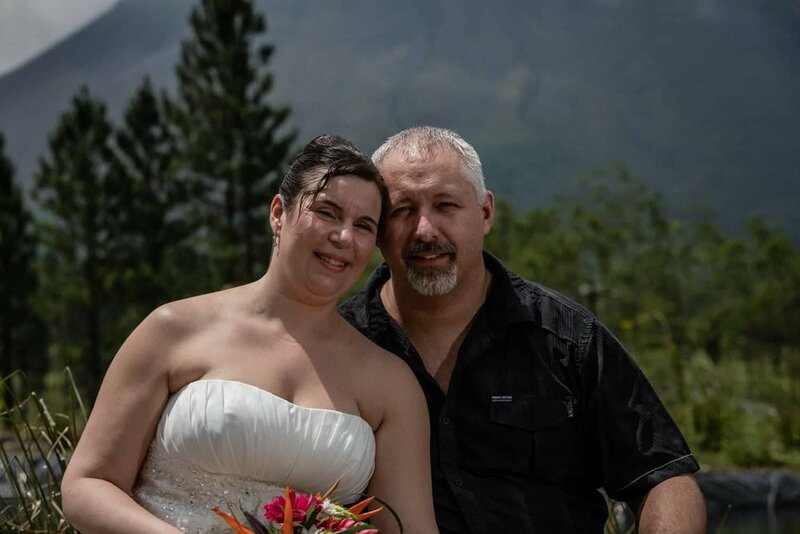 Here, we took beautiful photos of Andrea still in her white wedding dress walking and holding hands with and Dale in the countryside with the amazing Arenal Volcano behind them. Andrea and Dale had a marvelous time and we had the fortune of taking some amazing wedding photos of them. Andrea and Dale make a great couple. It was a pleasure to meet you and we wish you all the good fortune and happiness in the world! Thank you for trusting us with taking the photos of your imporant important day.